For the Australian rules footballer, see Jack Williamson (footballer). For the Anglican bishop, see Will Stewart (bishop). For other people named John Williamson, see John Williamson (disambiguation). Williamson was born April 29, 1908 in Bisbee, Arizona Territory, and spent his early childhood in western Texas. In search of better pastures, his family migrated to rural New Mexico in a horse-drawn covered wagon in 1915. The farming was difficult there and the family turned to ranching, which they continue to this day. He served in the U.S. Army Air Corps in World War II as a weather forecaster. Bisbee is a town in Cochise County, Arizona, USA, 92 miles (148 km) southeast of Tucson. According to the 2010 census, the population of the town was 5,575. The town is the county seat of Cochise County. The Territory of Arizona was a territory of the United States that existed from February 24, 1863 until February 14, 1912, when the remaining extent of the territory was admitted to the Union as the state of Arizona. It was created from the western half of the New Mexico Territory during the American Civil War. Amazing Stories is an American science fiction magazine launched in April 1926 by Hugo Gernsback's Experimenter Publishing. It was the first magazine devoted solely to science fiction. Science fiction stories had made regular appearances in other magazines, including some published by Gernsback, but Amazing helped define and launch a new genre of pulp fiction. 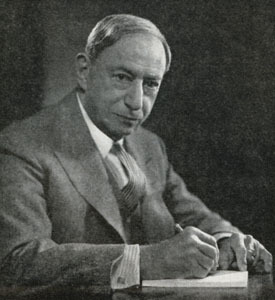 Hugo Gernsback was a Luxembourgish-American inventor, writer, editor, and magazine publisher, best known for publications including the first science fiction magazine. His contributions to the genre as publisher–although not as a writer–were so significant that, along with the novelists H. G. Wells and Jules Verne, he is sometimes called "The Father of Science Fiction". In his honour, annual awards presented at the World Science Fiction Convention are named the "Hugos". Early on, Williamson became impressed by the works of Miles J. Breuer and struck up a correspondence with him. A doctor who wrote science fiction in his spare time, Breuer had a strong talent and turned Williamson away from dreamlike fantasies towards more rigorous plotting and stronger narrative. Under Breuer's tutelage, Williamson would send outlines and drafts for review. 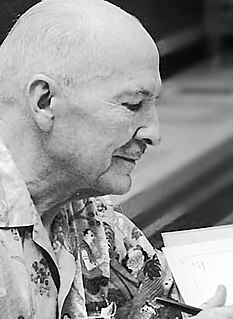 Their first work together was the novel Birth of a New Republic in which Moon colonies were undergoing something like the American Revolution—a theme later taken up by many other SF writers, particularly in Robert A. Heinlein's The Moon Is a Harsh Mistress . The Moon Is a Harsh Mistress is a 1966 science fiction novel by American writer Robert A. Heinlein, about a lunar colony's revolt against rule from Earth. The novel expresses and discusses libertarian ideals. It is respected for its credible presentation of a comprehensively imagined future human society on both the Earth and the Moon. Wracked by emotional storms and believing many of his physical ailments to be psychosomatic, Williamson underwent psychiatric evaluation in 1933 at the Menninger Clinic in Topeka, Kansas, in which he began to learn to resolve the conflict between his reason and his emotion. From this period, his stories take on a grittier, more realistic tone. 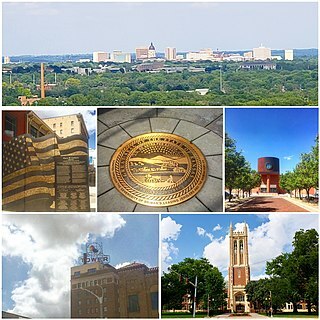 Topeka is the capital city of the U.S. state of Kansas and the seat of Shawnee County. It is situated along the Kansas River in the central part of Shawnee County, in northeast Kansas, in the Central United States. As of the 2010 census, the city population was 127,473. The Topeka Metropolitan Statistical Area, which includes Shawnee, Jackson, Jefferson, Osage, and Wabaunsee counties, had a population of 233,870 in the 2010 census. Kansas is a U.S. state in the Midwestern United States. Its capital is Topeka and its largest city is Wichita, with its most populated county being Johnson County. Kansas is bordered by Nebraska on the north; Missouri on the east; Oklahoma on the south; and Colorado on the west. Kansas is named after the Kansa Native American tribe, which inhabited the area. The tribe's name is often said to mean "people of the (south) wind" although this was probably not the term's original meaning. For thousands of years, what is now Kansas was home to numerous and diverse Native American tribes. Tribes in the eastern part of the state generally lived in villages along the river valleys. Tribes in the western part of the state were semi-nomadic and hunted large herds of bison. 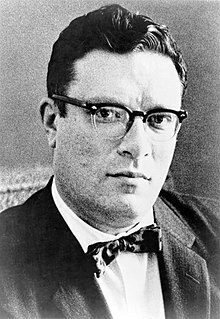 By the 1930s he was an established genre author, and the teenaged Isaac Asimov was thrilled to receive a postcard from Williamson, whom he had idolized, which congratulated him on his first published story and offered "welcome to the ranks". Williamson remained a regular contributor to the pulp magazines but did not achieve financial success as a writer until many years later. An unfavorable review of one of his books, which compared his writing to that of a comic strip, brought Williamson to the attention of The New York Sunday News, which needed a science fiction writer for a new comic strip. Williamson wrote the strip Beyond Mars (1952–55), loosely based on his novel Seetee Ship , until the paper dropped all comics. Maybe because of my own background of writing commercial SF for so many years, I have a great deal of respect for good craftsmanship of the sort that commercial writers must develop. The labels you hear so much of—"commercial," "serious writer," "mainstream," "hack," "New Wave," "experimental"—are usually very misleading. In my own field, Ed Hamilton and Hank Kuttner and more recently Bob Silverberg are all writers who formed a fine command of the SF genre early in their careers and who later on used this to do work that is more consciously "literary" and hence more admired by critics. But certainly the writing they did earlier was deservedly popular among SF fandom, who evidently found these works "serious" enough to merit reading. I am opposed, however, to literary tricks that tend towards obscurity or artificial difficulty, though I can see arguments for that kind of approach. My own experience as a teacher of writing confirms my sense that new authors with artistic ambitions may find themselves scorning too many of the old forms and patterns simply because they blindly associate them with hack work. The point is that these patterns and structures form the basic vocabulary through which all SF writers must speak. That's one reason I'm not completely sympathetic with contemporary writers like Silverberg and Chip Delany and Tom Disch, who are clearly aiming to get themselves recognized as "serious" or mainstream authors. Williamson received his Bachelor of Arts and Master of Arts degrees in English in the 1950s from Eastern New Mexico University (ENMU) in Portales (near the Texas panhandle), joining the faculty of that university in 1960. He remained affiliated with the school for the rest of his life. In the late 1990s, he established a permanent trust to fund the publication of El Portal, ENMU's journal of literature and art. 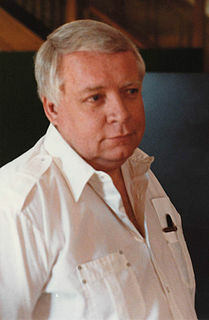 In the 1980s, he made a sizable donation of books and original manuscripts to ENMU's library, which resulted in the formation of a Special Collections department; the library now is home to the Jack Williamson Science Fiction Library, which ENMU's website describes as "one of the top science fiction collections in the world". In addition, Williamson hosted the Jack Williamson Lectureship Series, an annual lectureship where Guests of Honor and other noted authors give lectures, read from their works, and participate in lively panel discussions on a variety of topics. The lectureship is still celebrated at ENMU each year. The Jack Williamson Liberal Arts building houses the Languages & Literature, Mathematical Sciences, History, Religion & Social Sciences, and Psychology & Political Science Departments of the university, as well as the College of Liberal Arts and Sciences Dean's Office. After having been let go from ENMU during the university's financial crisis in 1977, Williamson spent some time concentrating on his writing, but after being named Professor Emeritus by ENMU, he was coaxed back to co-teach two evening classes, "Creative Writing" and "Fantasy and Science Fiction" (he pioneered the latter at ENMU during his full-time professorship days). Williamson continued to co-teach these two classes into the 21st century. After he made a large donation of original manuscripts and rare books from his personal collection to the ENMU library, a special collections area was created to house these and it was named the "Jack Williamson Special Collection". In November 2006, Williamson died at his home in Portales, New Mexico at age 98. 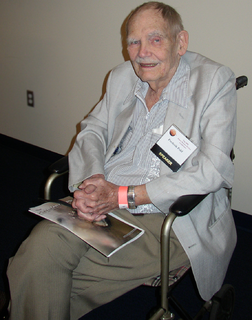 Despite his age, he had made an appearance at the Spring 2006 Jack Williamson Lectureship and published a 320-page novel, The Stonehenge Gate, in 2005. While attending a Great Books course, Williamson learned that Henryk Sienkiewicz had created one of his works by taking The Three Musketeers of Alexandre Dumas and pairing them with John Falstaff of William Shakespeare. Williamson took this idea into science fiction with The Legion of Space . Desperate for money, he searched for a quick source of income. While most pulps of the time were slow to pay, the recently restarted Astounding was an exception. However, they did not accept novels, so Williamson submitted three short stories and a novelette. Learning that they were also accepting novels for serialization, he sent in The Legion of Space , which was published in six parts. It quickly became a genre favorite, and was quickly collected into a hardcover. The story takes place in an era when humans have colonized the Solar System but dare not go farther, as the first extra-solar expedition to Barnard's Star failed and the survivors came back as babbling, grotesque, diseased madmen. They spoke of a gigantic planet, populated by ferocious animals and the single city left of the evil "Medusae". The Medusae bear a vague resemblance to jellyfish, but are actually elephant-sized, four-eyed, flying beings with hundreds of tentacles. The Medusae cannot speak and communicate with one another via a microwave code. The Falstaff character is named Giles Habibula. He was once a criminal, and can open any lock ever made. In his youth he was called Giles The Ghost. Jay Kalam (Commander of The Legion) and Hal Samdu are the names of the other two warriors. In this story, these warriors of the 30th Century battle the Medusae, the alien race from the lone planet of Barnard's Star. The Legion itself is the military and police force of the Solar System after the overthrow of an empire called the Purple Hall that once ruled all humans. In this novel, renegade Purple pretenders ally themselves with the Medusae as a means to regain their empire. But the Medusae, who are totally unlike humans in all ways, turn on the Purples, seeking to destroy all humans and move to the Solar System, as their own world, far older than Earth, is finally spiraling back into Barnard's Star. One of the Purples, John Ulnar, supports the Legion from the start, and he is the fourth great warrior. His enemy is the Purple pretender Eric Ulnar, who sought the Medusae out in the first place, seeking to become the next Emperor of The Sun. The Medusae conquered the Moon, set up their bases there, and went on to attempt conquest of the Solar System. The Medusae had for eons used a reddish, artificial greenhouse gas to keep their dying world from freezing. The Medusae learned from the first human expedition to their world that the gas rots human flesh, and the Medusae use it as a potent chemical weapon, attempting ecological destruction by means of projectiles fired from the Moon. Their vast spaceships also have very effective plasma weapons, very similar to those the Romulans had in a Star Trek episode called Balance of Terror . The Legion works also featured a force field called AKKA which can erase from the Universe any matter, of any size, anywhere, even a star or a planet. AKKA was a weapon of mass destruction and the secret of it was entrusted to a series of women. AKKA was used in the past to overthrow the Purple tyranny. It was also used to wipe out most of the Medusae, though they had tried to steal the secret. 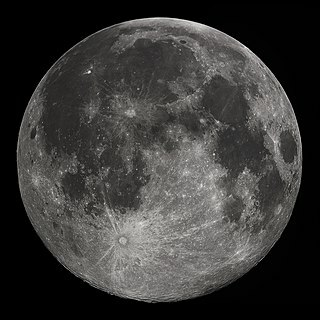 When they were wiped out, the Moon where they had established their base was erased out of existence. At the end of the story, John Ulnar falls in love with the keeper of AKKA, Aladoree Anthar, and marries her. Aladoree Anthar is described as a young woman with lustrous brown hair and gray eyes, beautiful as a goddess. Williamson next wrote The Cometeers which takes place twenty years after The Legion of Space in which the same characters battle another alien race, this one of different origin. In this second tale, they fight The Cometeers who are an alien race of energy beings controlling a "comet" which is really a giant force field containing a swarm of planets populated by their slaves. The slave races are of flesh and blood, but none are remotely similar to humans. The Cometeers cannot be destroyed by AKKA, as they are incorporeal from the Universe's point of view and exist for the most part in an alternate reality. The ruling Cometeers feed on their slaves and literally absorb their souls, leaving disgusting, dying hulks in their wake. It is said that they do so, as they were once fleshly entities themselves of various species. Hence, the ruling Cometeers keep other intelligent beings as slaves and "cattle". They fear AKKA, though, as it can erase all their possessions. They are defeated by the skills of Giles Habibula. Giles broke into a secret chamber guarded by complex locks and force fields that the incorporeal Cometeers could not penetrate. In it the ruler of the Cometeers had kept its own weapon of mass destruction, one that would cause the Cometeers to disintegrate. The ruling Cometeer kept this weapon to enforce its rule over the others of its kind. Once the Cometeers were destroyed, their slaves were ordered by the Legion to take the comet and leave the Solar System, and never return. Another novel, One Against the Legion , tells of a Purple pretender who sets up a robotic base on a world over seventy light years from Earth, and tries to conquer the Solar System via matter transporter technology he has stolen. In this story robots are outlawed, as they are in Dune . The story also features Jay Kalam, lobbying to allow the New Cometeers to leave the Solar System in peace, as many people were demanding that AKKA be used to obliterate the departing swarm of planets once and for all. In 1983, Williamson published a final Legion novel, The Queen of the Legion. Giles Habibula reappears in this final novel, which is set after the disbanding of the Legion. An editor suggested that Williamson combine the ideas of contraterrene matter (antimatter) and asteroid mining, which inspired the Seetee (C-T) series of short stories written as Will Stewart. Seetee Ship/Seetee Shock (1971, omnibus volume of both). Harry Clement Stubbs, better known by the pen name Hal Clement, was an American science fiction writer and a leader of the hard science fiction subgenre. He also painted astronomically oriented artworks under the name George Richard. Murray Leinster was a nom de plume of William Fitzgerald Jenkins, an American writer of science fiction and alternate history literature. He wrote and published more than 1,500 short stories and articles, 14 movie scripts, and hundreds of radio scripts and television plays. Leigh Douglass Brackett was an American writer, particularly of science fiction, and has been referred to as the Queen of Space Opera. She was also a screenwriter, known for her work on such films as The Big Sleep (1946), Rio Bravo (1959), The Long Goodbye (1973) and The Empire Strikes Back (1980). She was the first woman shortlisted for the Hugo Award. Galaxy Science Fiction was an American digest-size science fiction magazine, published from 1950 to 1980. It was founded by a French-Italian company, World Editions, which was looking to break into the American market. 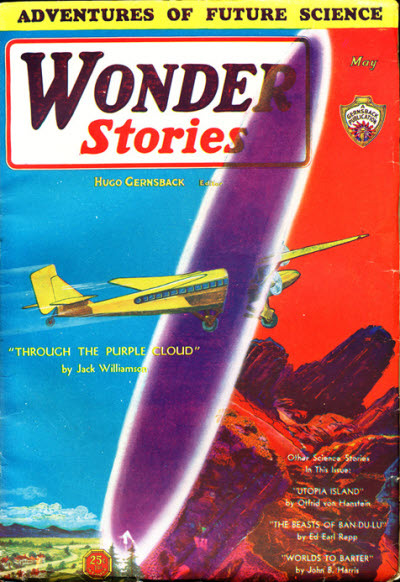 World Editions hired as editor H. L. Gold, who rapidly made Galaxy the leading science fiction (sf) magazine of its time, focusing on stories about social issues rather than technology. Algirdas Jonas "Algis" Budrys was a Lithuanian-American science fiction author, editor, and critic. He was also known under the pen names Frank Mason, Alger Rome, John A. Sentry, William Scarff, and Paul Janvier. Stanley Grauman Weinbaum was an American science fiction writer. His first story, "A Martian Odyssey", was published to great acclaim in July 1934, but he died from lung cancer less than a year and a half later. Terraforming is well represented in popular culture, usually in the form of science fiction. While many stories involving interstellar travel feature planets already suited to habitation by humans and supporting their own indigenous life, some authors prefer to address the unlikeliness of such a concept by instead detailing the means by which humans have converted inhospitable worlds to ones capable of supporting life through artificial means. The Legion of Space is a space opera science fiction series by American writer Jack Williamson. The story takes place in an era when humans have colonized the Solar System but dare not go farther, as the first extra-solar expedition to Barnard's Star failed and the survivors came back as babbling, grotesque, diseased madmen. They spoke of a gigantic planet, populated by ferocious animals and the single city left of the evil "Medusae". The Medusae bear a vague resemblance to jellyfish, but are actually elephant-sized, four-eyed, flying beings with hundreds of tentacles. The Medusae cannot speak, and communicate with one another via a microwave code. Darker Than You Think is a science fantasy novel by American writer Jack Williamson. Originally a novelette, it was expanded into novel length and published by Fantasy Press in 1948. The short version was published in Unknown in 1940. It was reprinted by UK-based Orion Books in 2003 as volume 38 of their Fantasy Masterworks series. The Legion of Space is a science fiction novel by the American writer Jack Williamson. It was originally serialized in Astounding Stories in 1934, then published in book form by Fantasy Press in 1947 in an edition of 2,970 copies. A magazine-sized reprint was issued by Galaxy in 1950, with a standard paperback following from Pyramid Books in 1967. The first British edition was published by Sphere Books in 1977. The Legion of Space has been translated into German, French and Italian. It has also appeared in the omnibus Three from the Legion, which compiles the novel and all but one of its sequels. Seetee Ship is a science fiction novel by American writer Jack Williamson, writing under the pseudonym Will Stewart. The second in the Seetee series, it is a fix-up adapting two stories previously published in Astounding Science Fiction magazine, "Minus Sign" and "Opposites—React!". The Cometeers is a collection of two science fiction novels by the American writer Jack Williamson. It was first published by Fantasy Press in 1950 in an edition of 3,162 copies. The novels were originally serialized in the magazine Astounding in 1936 and 1939, and later released as individual paperbacks by Pyramid Books. The Legion of Time is a collection of two science fiction novels by the American writer Jack Williamson. It was first published by Fantasy Press in 1952 in an edition of 4,604 copies. The novels were originally serialized in the magazines Astounding Science Fiction and Marvel Stories. Nomad is a science fiction novel by American writer George O. Smith. It was first published in book form in 1950 by Prime Press in an edition of 2,500 copies. The novel was originally serialized in three parts in the magazine Astounding beginning in December 1944, under Smith's pseudonym, Wesley Long. "Collision Orbit" is a science fiction short story by American writer Jack Williamson. It was published in the July 1942 edition of Astounding Science Fiction magazine. 1 2 3 4 5 Jack Williamson at the Internet Speculative Fiction Database (ISFDB). Retrieved 2013-03-24. Select a title to see its linked publication history and general information. Select a particular edition (title) for more data at that level, such as a front cover image or linked contents. ↑ Moskowitz, Sam. "Jack Williamson: Four-Way Pioneer". Amazing Stories, October 1964. ↑ "Galaxy Bookshelf", Galaxy Science Fiction , December 1967, p. 190. 1 2 Fox, Margalit (November 14, 2006). "Jack Williamson, 98, an Author Revered in Science Fiction Field, Dies". The New York Times . Archived from the original on 2011-03-17. Retrieved 2011-03-17. In 1985, Mr. Williamson received a Hugo Award for his memoir, 'Wonder’s Child: My Life in Science Fiction' (Bluejay Books, 1984). His 2001 novella 'The Ultimate Earth' won a Hugo, given by the World Science Fiction Society, and a Nebula Award, given by the Science Fiction and Fantasy Writers of America. ↑ "Jack Williamson: El Portal". Eastern New Mexico University. Retrieved June 16, 2015. ↑ "Jack Williamson Science Fiction Library". Golden Library Special Collections. Eastern New Mexico University (ENMU). Retrieved 2017. ↑ "Science Fiction Citations: terraforming". Unknown (jessesword.com). Retrieved 2006-06-16. 1 2 3 4 "Williamson, Jack". The Locus Index to SF Awards: Index of Literary Nominees. Locus Publications. Retrieved 2013-03-24. ↑ "Damon Knight Memorial Grand Master" Archived 2013-03-08 at the Wayback Machine . Science Fiction and Fantasy Writers of America (SFWA). Retrieved 2013-03-24. ↑ World Fantasy Convention. "Award Winners and Nominees". Archived from the original on December 1, 2010. Retrieved 2011-02-04. ↑ "Science Fiction and Fantasy Hall of Fame" Archived May 21, 2013, at the Wayback Machine . Mid American Science Fiction and Fantasy Conventions, Inc. Retrieved 2013-03-24. This was the official website of the hall of fame to 2004. ↑ "Bram Stoker Award for Lifetime Achievement" Archived 2013-05-09 at the Wayback Machine . Horror Writers Association (HWA). Retrieved 2013-04-05. ↑ Terry, Karl (November 11, 2006). "Sci-fi legend Williamson dies". Portales News-Tribune. Retrieved 2007. ↑ "The Meteor Girl". Project Gutenberg. Astounding Stories. October 3, 2009. Retrieved 23 January 2017. ↑ "The Lake of Light". Project Gutenberg. Astounding Stories. October 3, 2009. Retrieved 23 January 2017. ↑ "The Doom from Planet 4". Project Gutenberg. Astounding Stories. February 3, 2010. Retrieved 23 January 2017. ↑ "The Pygmy Planet by Jack Williamson" (eBook download). Project Gutenberg. Retrieved 10 January 2017. ↑ "Salvage in Space". Project Gutenberg. Astounding Stories. July 1, 2009. Retrieved 23 January 2017. ↑ "The Masked World". Project Gutenberg. Worlds of Tomorrow. October 1, 1963. Retrieved 12 January 2017. Wikimedia Commons has media related to Jack Williamson . "Jack Williamson biography". Science Fiction and Fantasy Hall of Fame . Dimension X: "With Folded Hands"